We know that the smooth run of your corporate event is crucial. We know that the atmosphere of your private function is paramount. We know that you’ve worked your bum off organising every last detail, and you just want music, entertainment and a soundtrack that suits the crowd, the surrounds & the mood of your guests – even if that evolves. From Trade Shows to Awards Galas and Conference Wraps to poolside Welcome Drinks we’ve played (and love playing) them all. We can shine our shoes for black tie sophistication or go white tees, jeans & thongs for a beach party. The vibe and ‘upbeatness’ of our live sets generally evolves as your event unfolds. Unless you say otherwise, of course. Instrumental folk. Raw rhythmic groove. Alternate pop. Acoustic pub rock. D-floor filling DJ set. Whatever suits. We want the perfect atmosphere for your event just as much as you do. Live music is what we love, and so that – for the most part – is what we do. But in the interest of always creating the perfect soundtrack we’re also always ready & willing to flick the switch into DJ mode. 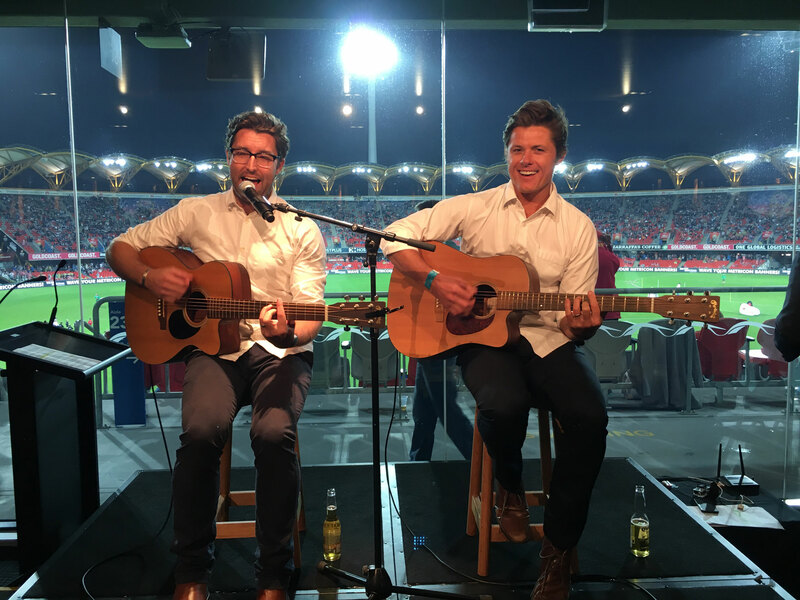 Along with soundtracking more that 300 weddings from ceremony to sayonara, we’ve also provided the atmosphere for some of the coolest corporate events hosted in south-east QLD and northern NSW. 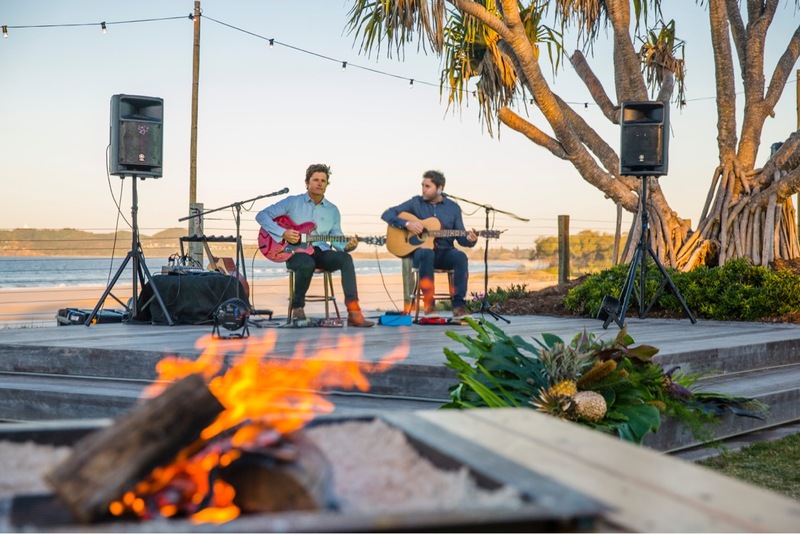 From Byron Bay to the Gold Coast and Brisbane, some of the country’s most recognisable brands and personalities have trusted and continue to trust us to soundtrack their important events, and impress their honoured guests. 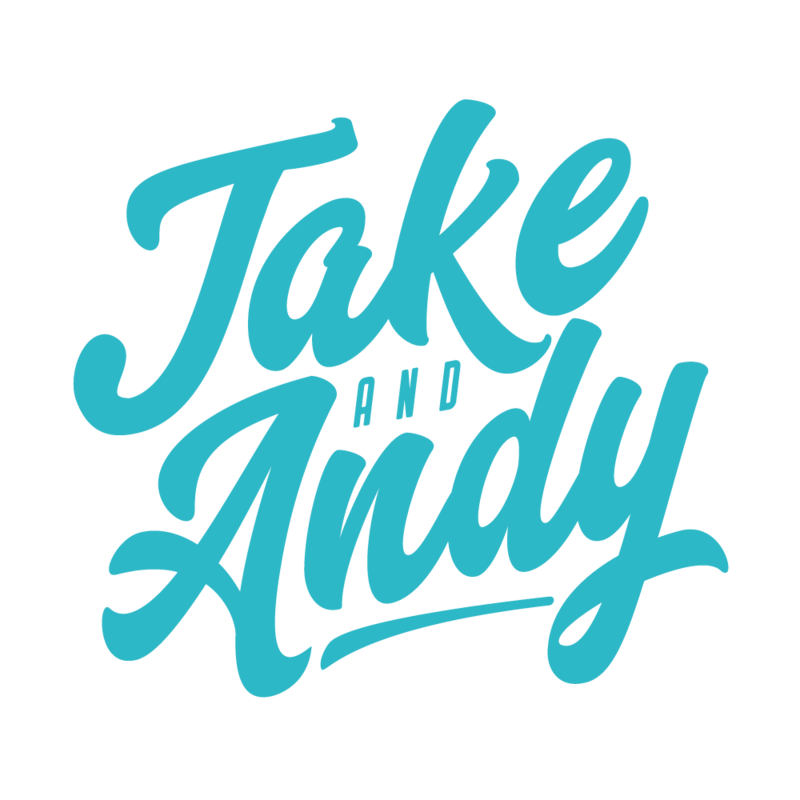 Maybe you should to. at a cozy little Byron Bay beachside soirée put on by Pim Group.